This is a travelogue with a difference! Since Henry James there have been many impressions of an American abroad and we have become used to seeing the world ‘under western eyes’. But what about seeing the world from a very different perspective – not from the standpoint of an affluent westerner, or even an anglicized foreigner like Conrad, but through the eyes of an Iranian who has not had the privilege of taking freedom for granted. Iran itself comes under close scrutiny as the author tries to come to terms with daily life in a country where freedom of speech, freedom of movement, and freedom to wear the clothing of one’s choice does not exist. Imagine, for instance, visiting a tourist town for a holiday break and being picked up by the police because you are not a local, and then inadvertently finding yourself with a rope around your neck in a public execution? The book is a real page-turner as one follows the author’s frequent bids for freedom, finding himself repeatedly in a prison cell, punting across a turbulent river to enter Greece without a visa, finding temporary solace and comfort in the arms of a young prostitute in Bulgaria, suffering the indignity of being treated as a slave by the high-minded bosses in Japan, and running away from the regular police raids in Cyprus. But not all is doom and gloom – by no means, for apart from the author’s downright honesty, sharing and confiding his innermost thoughts, there is his irresistible humour that never fails to see the funny side in the events and the people that he describes. 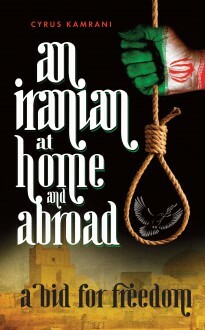 With its unique perspective of what it is like to be down and out, and sometimes affluent too, in Iran and the countries the author visits, this book provides an unforgettable experience.